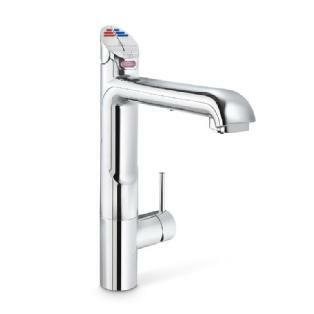 Zip's iconic HydroTap Classic design with a combined mixer tap, which dispenses filtered boiling, chilled and unfiltered hot and cold for washing up and hand washing from a single tap. Available as vented or mains. Vented models mix boiling water with cold for hot water. This means no hot water feed is required. Mains models require a hot and cold water feed. Installed over the sink, it's design is perfect for specifiers looking to blend contemporary aesthetics with industrial elements.